Poonam is a hardworking girl who dreams of completing her MBA and taking care of her father, who has struggled all his life. 22 year old Poonam's father is an auto driver. He spent his whole life struggling to educate his children so that she could fulfil all her dreams. She finished her graduation, and was doing a course in banking so that she could help her father pay fees for her MBA. 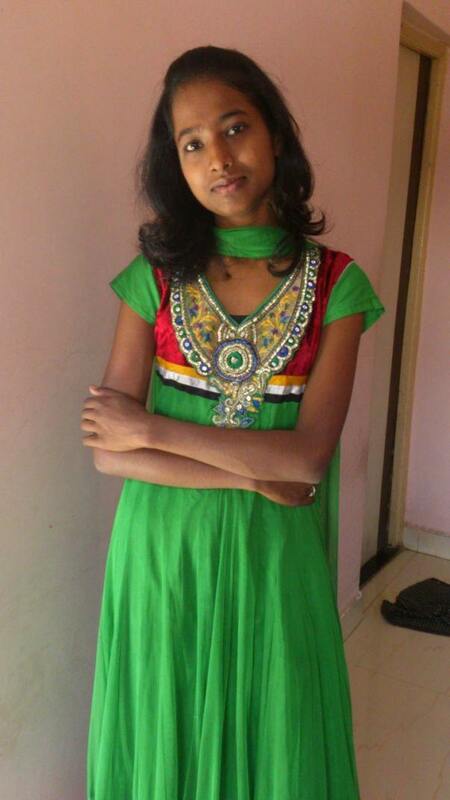 Poonam's illness got more frequent and she had to stop going for her classes. Her father also had to stop working since there was nobody else to take her to the hospital for regular dialysis. She suffers from Chronic Kidney disease Stage 5. 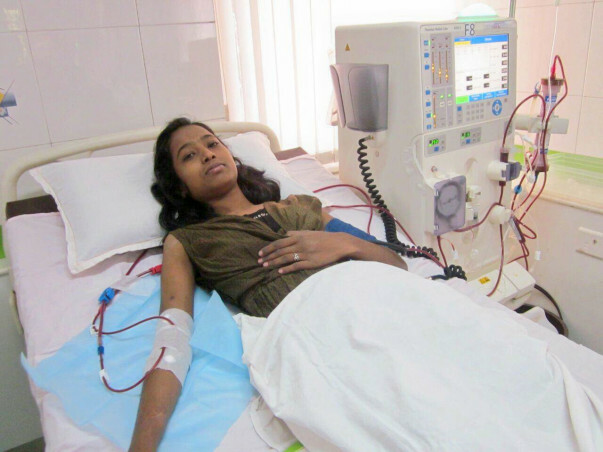 She currently is on dialysis, and needs to undergo Kidney transplant immediately. 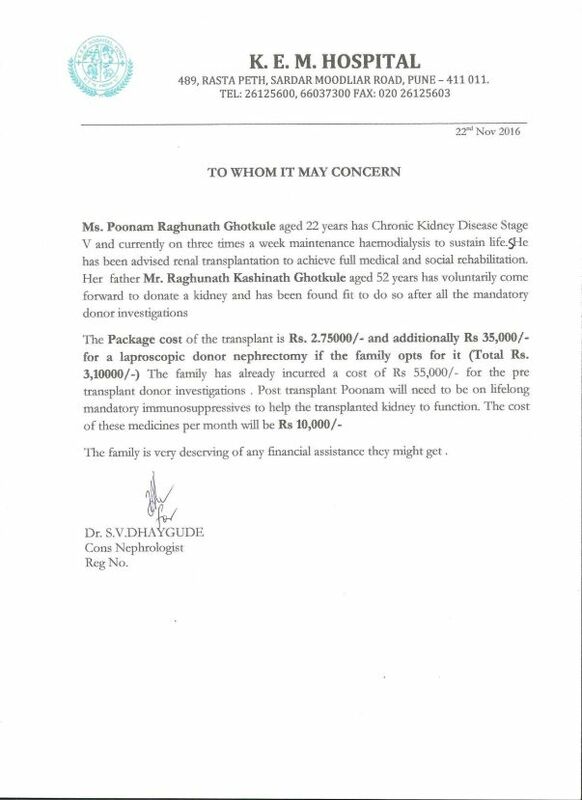 Her father Raghunath Ghotkule himself come forward to donate kidney for his daughter and was found to be a perfect match after investigation. The family has already spent close to Rs. 55000 on Poonam's dialysis. With Raghunath having quit his job, her brother's salary alone is not enough for the transplant. Poonam's father has spent his whole life struggling with his small income as an auto driver, but this never stopped him from educating her and helping her fulfil her dreams. Today when she needs a kidney, he has come forward to donate his own.